GTR TEAM DISC is a special version of GTR TEAM available with Flat Mount disc brakes, a new technology from Shimano for the Spring of 2015. The rear triangle, in addition to being designed asymmetrically, is designed to accommodate 28mm tires, in line with the latest market trends that see strong growth in the disc gravel bike sector. GTR TEAM DISC can also be used in UCI races for the coming seasons. The GTR Team Disc Ultegra is ready for long days out on the road. 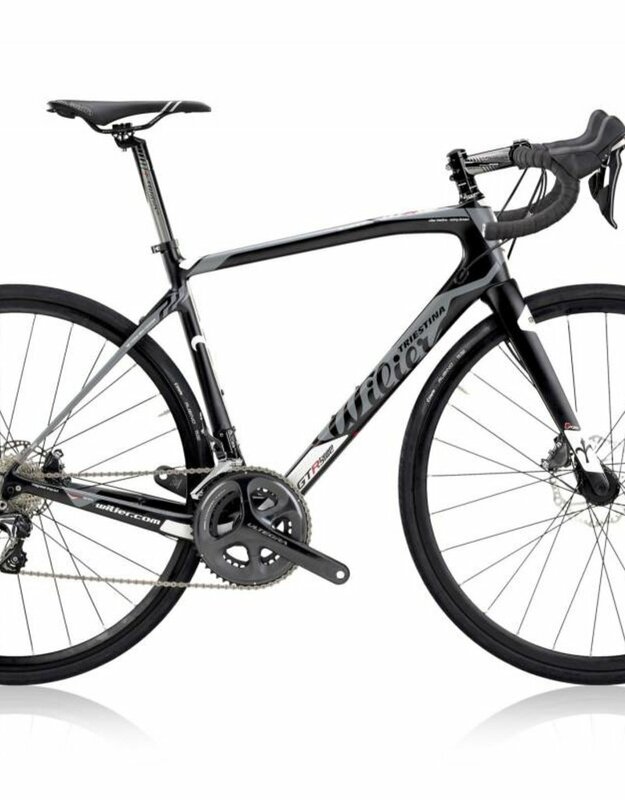 Whether you're scaling mountains or exploring rolling hills, the 46-ton Wilier carbon frame offers a comfortable, stable endurance-oriented geometry and a stiff platform so you can beat your buddies in the town line sprint. 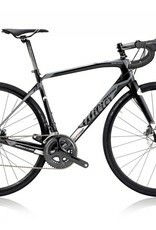 Thru-axles front and rear ensure precise steering when you're descending through sweeping turns at high speed, and the Shimano RS170 wheels with 28mm-wide Vittoria tires roll fast and stick through those corners. Shimano's 11-speed Ultegra drivetrain shifts with swift precision and affords you a wide range of gears to climb whatever the road throws at you. Matching Shimano hydraulic disc brakes give you unprecedented modulation and control, regardless of where you're riding or the weather you find yourself in. An FSA cockpit and a Selle Italia saddle keep the weight down and your comfort high as you explore further and further from home.